The new Maruti Suzuki CelerioX is a crossover-like version of the regular Celerio hatchback that comes with bold styling and new equipment. The car is available only with a petrol engine, in both manual and AMT option. Maruti Suzuki India today officially announced the launch of the new and sporty CelerioX hatchback. Priced from ₹ 4.57 lakh to ₹ 5.42 lakh, the new Maruti Suzuki CelerioX is a sporty version of the Celerio hatchback with crossover-like styling. The car comes with new styling and a host of cosmetic additions that adds to its bold crossover appearance. 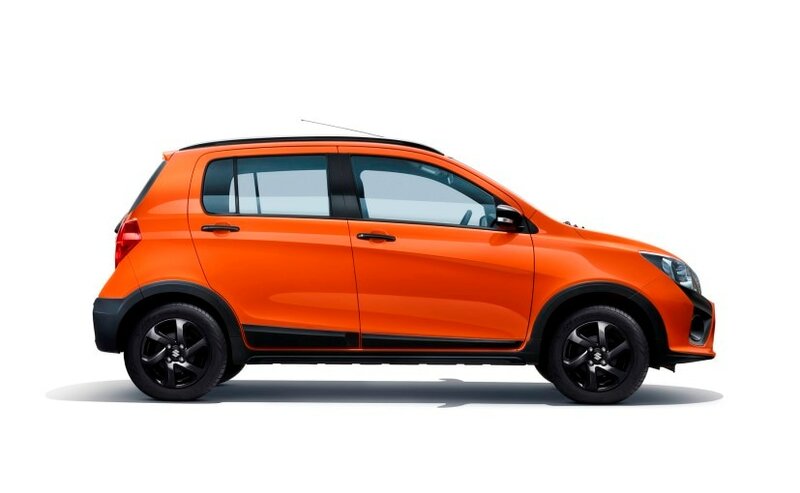 Like the regular Celerio, the car will be available only in petrol engine option, in a total of four variants VXI, VXI (O), ZXI, and ZXI (O), each available in both manual and AMT option. Announcing the launch of the new Maruti Suzuki CelerioX, R S Kalsi, Senior Executive Director, Marketing & Sales, Maruti Suzuki India (MSI) said, "Celerio has successfully carved a unique position for itself in the competitive compact car segment. 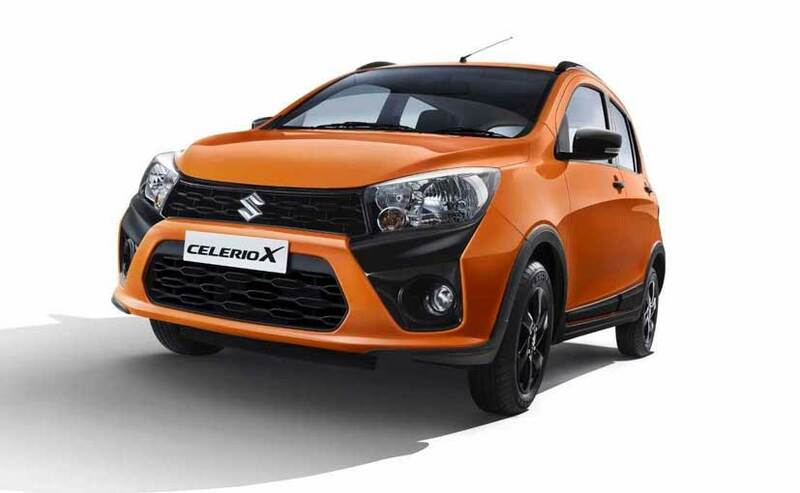 With CelerioX, Maruti Suzuki aims to give this well-accepted model a bold, stylish and sporty makeover as per the changing preferences of young and social savvy consumers. We are confident that CelerioX will enhance the brand and bring in younger customers." The carmaker is hopeful that the new CelerioX will add to the sales of the existing Celerio brand with its new and bold styling that is aimed towards young-aspirational buyers. Maruti Suzuki has sold over 300,000 units of Celerio in India so far. 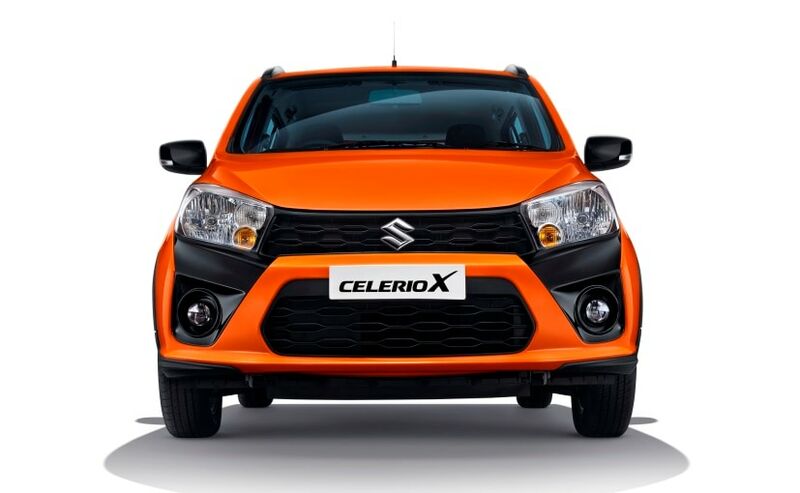 Up front, the new Maruti Suzuki CelerioX comes with a bold new face with a lot of black element in and plastic cladding. The car gets an all-black radiator grille and air dam and an all-new front bumper with muscular design cladding and larger foglamp housing. The bring out the crossover look, Maruti has also added wheel arch and underbody cladding along with side door cladding and roof garnish. The rear portion larger remains the same except for the redesigned rear bumper. The new CelerioX comes in an all-new Paprika Orange colour, along with the existing colour options that include - Arctic White, Glistening Grey, Caffeine Brown and Torque Blue. To go with the black theme of the exterior, the CelerioX comes with an all-black cabin with white accents. The black seat covers also come with some Orange accents to compliment the new body colour of the car. On the safety front, driver side airbag and driver seatbelt pretensioner are standard across all variants, while passenger airbag and ABS are offered only as an option. In fact, we has already told you all about these in October, when the brochure of the car was leaked. Powering the new CelerioX is the same 998cc, 3-cylinder petrol engine which makes 67 bhp and 90 Nm. The model will be offered with a choice of a 5-speed manual gearbox with an option of a 5-speed AMT.